Once every four years it comes around and there’s football fever, at least for some. For those of us gripped by an interest in the football there is hope for great things from our national team, which may perhaps be mixed with a tinge of realism or even cynicism, as we prepare ourselves for the usual disappointment. There can be a sense of camaraderie about supporting a football club – whether local or national – that can be really important for people. The hopes we carry for our team bind us together with other people on a journey we are taking together, towards a common destination. For the team themselves this is an adventure they experience first hand, for real. Supporters travel with the team in spirit, able to join in the adventure by following the matches and surrounding stories on TV and through the press. Many people are bound to a football club for life and it seems to provide them with a purpose, a reason for being, as well as heroes and role models. The parallel with religion has often been made and it seems to be a good one. Like church-goers, football supporters gather together at set times, joining in an experience with people who share the same beliefs. And supporting a football team can for some provide a sense of purpose and direction in the same way religion can for others. Both football supporters and religious observers need faith– a faith that their way is the right way, and faithfulness to their chosen cause. The choice of which football team – or which religion – is a very personal one and the bond we feel with our team – or our god – can be incredibly deep and important. These feelings are central to many of us and it is not just through football or religion that we might gain them. 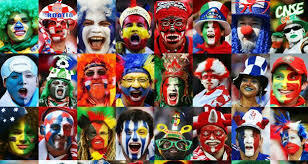 To take just one example, many people watch soap operas on the TV and for the ardent follower I think the reasons are parallel to the football supporter. The Coronation Street fan can get the same sense of being on a journey, of being part of something bigger than themselves, of being part of a wider community, of having purpose and direction that the football supporter or the church-goer may get from their chosen activity. As I write this I am wondering how people might react. If you are religious, you may see following a football team or watching a soap opera as much less important activities – that they are trivial compared to your belief in god and your faith. 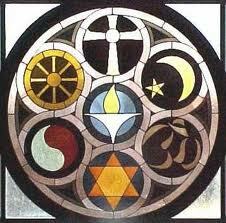 On the other hand, the football supporter may see religion as a load of mumbo-jumbo, or condemn soap operas as fantasy. When we have a passionate belief in something – or a love for something, we can look at others and see their beliefs as inferior, as being less than our own. We may even see a conflict between their beliefs and ours and feel threatened by them – what if they are right and we are wrong? History is littered – and so is the present day – with religious wars. Violence between fans of rival football teams is not uncommon and has even seemed to be part of the culture for certain teams at certain times. I am not sure that war has ever broken out between lovers of Coronation Street and East Enders but I imagine there can be rivalry and animosity between them. In our passion for what we believe in, we can lose perspective. We can see others as rivals when in fact they are just doing the same things as us, albeit with a different focus. Love of our football team can become hatred of our local rivals. Pride in our national team can become a xenophobic attitude to other nations. Religious zeal can breed terrorism, nationalism can breed Nazism. This entry was posted in Feelings and tagged belief, faith, fear, football, hope, love, power, pride, respect, right, wrong. Bookmark the permalink.